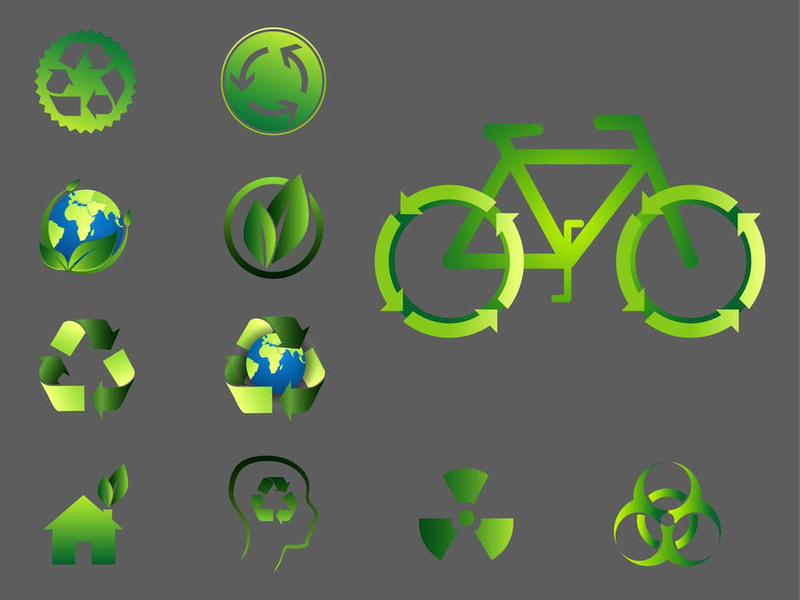 Green planet vector image collection with various icons and logo templates related to nature and ecology. Gradient colors, plant parts, common recycling symbols and illustrations related to different activities. Free vector graphics for all your nature, plants, ecology, organic, environment and preservation of nature projects. Tags: Eco, Icons, Leaves, Logos, Nature, Plants, Recycle, Symbols.